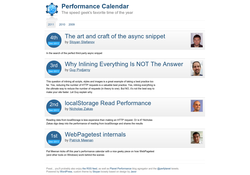 Several awesome tech and programming communities create advent calendars each year with a different article or demo for each day of December. Here are the ones I’m following. 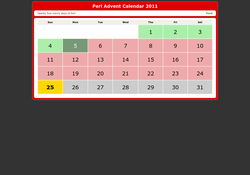 Update: See my updated 2012 Advent Calendar list. 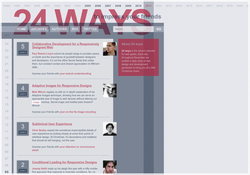 It uses the same RSS feed as before. 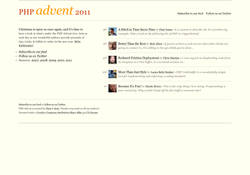 I’ve also created a Yahoo Pipe to combine all of these RSS feeds into one: 2011 Tech Advent Feed.